A former lay chairman of NHS Continuing Healthcare Independent Review Panels (IRPs) has revealed his own experience of the maladministration he observed when working in the system. We’ll call him Richard (not his real name). Richard spent many years working on tribunals and government committees before working on health funding appeals. His experience with health funding appeals was not limited to Continuing Healthcare Independent Review Panels, but that did form a large part of his work. What makes Richard’s position particularly interesting is his experience on both sides of the fence. He was in the unfortunate position of having to appeal against a decision to remove full NHS Continuing Healthcare funding from his wife. She was in a nursing home and has, sadly, since died. She received NHS Continuing Healthcare at her first funding assessment, and again at a further review. But, at the following review the assessor told Richard that his wife ‘no longer qualified’ for NHS funding. However, the assessor had made up his mind about this before an NHS decision-making panel had even met. It was a clear attempt to remove funding for the purpose of protecting NHS budgets, yet without going through the proper process. Richard’s wife had terminal cancer at the time, and yet the NHS assessor effectively said she was not their responsibility. Richard requested copies of the Decision Support Tool notes (assessment notes) from the two previous Continuing Healthcare reviews. He also requested the written details of the most recent decision. He never received the first two – and he received the last Decision Support Tool only when he said he would appeal. He had wanted to see the first two for purposes of comparison – so he could ascertain exactly how the NHS thought his wife’s needs had lessened. The NHS wouldn’t allow him to see them. Richard felt that this was almost certainly because it would quickly become very obvious that her needs had not lessened at all. After Richard requested the previous notes, and his request was refused, the assessors instead suggested a further review but with a more senior member of staff. Richard refused to agree to this unless he could see the previous notes. The notes were never forthcoming. It became clear that the assessor’s ‘recommendation’ of ineligibility had just been rubber-stamped by the decision-making panel, and yet the panel could not supply a proper written rationale for their endorsement. Decision makers have to provide reasons. Richard realised they had not actually discussed the review notes at all – probably just glanced at them and agreed – and yet the panel did not know anything about his wife’s case. This kind of maladministration in NHS Continuing Healthcare appeals by NHS assessors and decision-makers will come as no surprise to the thousands of families in the UK currently facing the same situation. Richard appealed the withdrawal of his wife’s funding, and at this point the assessors were aware of Richard’s background in Continuing Healthcare funding appeals. This made it all the most interesting that Richard was then informed that Continuing Healthcare funding would be completely reinstated for his wife during the appeal. What was even more interesting was that her Continuing Healthcare funding then continued right up until her death five months later – with no further contact, pressure or hassle from the NHS. This course of events gives the impression the assessors had acted wrongly – and knew they had – and they didn’t want to be found out. They had refused to provide the previous review notes for comparison, because they knew they couldn’t justify their latest decision to withdraw funding. It is, of course, good news that Richard’s wife was able to keep her funding, but the actions of the assessors and decision-makers are highly questionable – to say the least. Even with his experience, knowledge and background, Richard found the whole Continuing Healthcare process so difficult. The biggest problem of all is the difference between healthcare and social care needs – and this seems to be left open to subjective interpretation by assessors. Even doctors don’t seem to know where the difference lies. Social care needs are, however, clearly described in the National Framework for NHS Continuing Healthcare (page 50 paragraph 2.2 and 2.3). Many care homes don’t want to carry out Continuing Healthcare assessments or get involved in appeals, and there are clear financial conflicts of interest amongst different parts of the care system. If Continuing Healthcare is awarded to someone in a care home, for example, the care home is paid less than if the person pays for themselves. There’s an enduring budget motive on all sides – and so funding decisions are not impartial at all. The NHS assessor carrying out an assessment will take a view of eligibility (whether correct or not), and their colleagues will not want to disagree with that. It means the flaws and maladministration are continually perpetuated, leaving families to face an appeal process where the decision-makers also fail to explore the case properly. Even with the same basic appeal procedures set out in the guidelines, different geographical areas handle appeals very differently. Some allow the family to attend and speak, while others restrict the amount of time a family representative can speak for. Some areas insist it is a paper exercise only and, as a result, all discussion is held behind closed doors without the family knowing what is being said. Some cram four or five appeals into one day – and on paper only – which raises questions about whether they actually read any of the case notes. The appeal panel members always have prior access to medical reports, but as the previous points suggests, there may not be time to read everything. Also, there are sometimes gaps in such records, they can be substantial in volume and also often couched in medical jargon. There needs to be an independent medical professional present at an appeal, relevant to the needs of the person who has been assessed. However, this person is not part of the actual decision making. In some cases there may be a specialist senior medical person – and they should be from a different region. There is a senior member of the relevant NHS Trust present (it could be a senior nurse) to highlight why funding has been refused. However, in many cases this nurse has never met the person being assessed or the family. Instead, they rely on the information from the (potentially flawed) assessment and medical records. The whole system is complicated – and so bureaucratic. It is absolutely vital for the family to attend an appeal to have any chance at all of success. It is all about procedure and not about the person; however, procedure is often ignored. The National Framework guidelines are not thought through very well at all. Representatives from the health and social care authorities do not always understand what they are doing in reviews, and yet they are being paid to be on these decision-making panels. Assessors and review panel members have generally never met the person they’re assessing. Many have not even read the appeal documentation. They are there to make up numbers so boxes can be ticked – never mind the outcome for the vulnerable individual in care who is supposed to be at the heart of all this. During his time working with appeals, Richard saw many resignations, and at times there would be no appeals going through at all, and families would have to wait months, sometimes years. His own view about paying for care when there’s a dispute about the funding decision is that funding should continue while an appeal is ongoing; otherwise, leaving someone with no funding is a very cruel thing to do. When putting forward your appeal, ignore those areas where there is agreement about the scores and health needs. Given all the above, it’s important to challenge and pick on specific points of dispute and force assessors and members of the panel give you proper and specific answers to those points. Keep asking about those specific things until you get an answer. Don’t give up. What’s your own experience of Continuing Healthcare independent reviews? At Care To Be Different we’re very grateful to Richard for sharing his insights and observations. If you have a funding appeal in progress, you’ll no doubt have picked up on Richard’s point that funding was reinstated once he’d said he would appeal and the assessors knew his background. From all the reports we receive from families it’s very apparent that having funding offered during an appeal is highly unlikely to happen to ‘ordinary’ people. This point makes it all too clear that the assessors in Richard’s case knew they had acted wrongly and were trying to cover this up by reinstating funding – and so avoiding having to provide paperwork that would have exposed the maladministration. Most people have their funding stripped away regardless of the illegalities of the assessors’ actions and decisions. It also seems absurd that any appeal panel could think it transparent, fair or just to rush through appeals on paper without involving families. The original assessors often seem to be junior in their rank and experience, and the mistakes they make are then simply rubber-stamped. Many families also suspect that one member of an assessment team or appeal panel won’t want to overrule or contradict another, and so the maladministration goes unchallenged. Plus, if the nurse from the local CCG has never met the person being assessed and has no hands-on experience or observation of their actual day-to-day care needs, there is huge potential for the original mistakes in the funding decision to simply be compounded. What’s your own experience of the Independent Review Panel process for your relative? Independent Review Panel set for 31 July – wish me luck everyone please. I duly attended the IRP on 31 July and all seemed to get off to a good start and I am told to expect a decision in 6 weeks. I was under the impression that the IRP panel should be made up of people from outside the area yet the NHS representative was one and the same person who I have been in contact with over the last 2 years and was the person taking the notes of the meeting – is this in breach if the independent status of the panel? (b) the criteria had not been applied correctly. At the end, I asked the chair whether they attached equal weight to these two matters and she simply replied that if the procedure was found to be dodgy, effectively the CHC people just get a rap over the knuckles and told not to do it again!! Is this correct? I will not be involved in the decision making of the panel, as this will be done independently. The decision makers on the panel will be an Independent Chair, a person from a CCG outside of West Hampshire, and a person from a Local Authority outside of West Hampshire. This requirement is set out in the Standing Rules/Directions. An independent review is carried out in line with the NHS Commissioning Board and Clinical Commissioning Groups (Responsibilities and Standing Rules) Regulations 2012, having regard to the National Framework for NHS Continuing Healthcare and NHS-funded Nursing Care November 2012 (revised). I should also like to clarify that “the Board” is NHS England and NHS England’s role is to set up an independent review panel if a person wishes to challenge a CCG’s eligibility decision. NHS England does not carry out its own assessment, nor complete its own Needs Portrayal, but the independent review panel will review the CCG decision and the process followed, taking into account the evidence from the CCG and your own/family evidence. Anybody currently working for the NHS is not able to sit as an IRP Chair as this is an independent process set up to review the decisions of CCGs around people’s eligibility for NHS Continuing Healthcare funding. The Chair and the two fellow panel members – a person from a different CCG to the one made the decision, and a person from a different Local Authority (social care) are the three decision makers on the IRP. NHS England staff are not involved in the decision making, our role is to co-ordinate and schedule a suitable date for the panel and a member of the CHC team will attend the panel to take notes. Ask yourself the question..is it the scores on the board that is failing this process or is it the conduct of the staff that are preventing an open and honest debate? I should confirm the last 3 lines were not the advise of the chair they were my own thoughts but in trying cram all the words into 2100 characters I forgot to delete it. however my subsequent quote is from a IRP chair person on our particular case. Your message yesterday was incredibly helpful, thank you and I am writing an appropriate letter. You certainly seem to know what you are talking about – this whole experience has been a minefield. Again, I will let you know the response I get. Would it be possible to correspond with you privately? Apologies for the pregnant pause but I have been battling away and of course have got nowhere so this is just to let you know that I have submitted a complaint to the Health Service Ombudsman and will keep you posted – thanks for your continuing help. I am away at the moment and suspect a letter will be waiting for me when I get back and will let you know. Many thanks for your interest. I have just got back and I had a letter from the Chair. Haven’t had a decision letter yet! First, you are correct in referring to the standing rules as the instrument which governs the establishment and operation of independent review panels. These impose a duty on NHS England to maintain such panels, to include suitably qualified chairs and other nominated representatives of CCG’s and LAs. There is no duty on NHS England to have its own representative present when IRPs meet but nor is there a prohibition. The standing rules do state that a designated NHS employee should be responsible for ensuring that relevant information is provided by the CCG and ….. (name redacted) Is the representative of NHS England in this case. I believe that the correspondence you had with her over a period of time will have related to the arrangements for the IRP meeting and its associated processes, which form part of her responsibility. …..(name redacted) was not a member of the independent panel which reviewed your mother’s case. As was explained at the meeting itself…… (name redacted) was present to take minutes of the meeting and, if necessary, to advise on any process matters which may arise. In fact, no such matters did arise. That means that the only part she played on the 31st of July was to take minutes. That included minutes of the panels in camera discussions. I can assure you that she took no part in those discussions. She had no input, direct or indirect, into the panels decision making. In terms of simply being present, it can and does happen that others occasionally attend, such as for conservation training purposes. In summary, Therefore, the independent panel on 31 July was properly constituted in accordance with the standing rules. From my experience the Chair was not the most appropriate person to respond to your concern as it is NHS CHC England (The Board) who arranges the IRP’s and clearly he is not aware of all the facts and as such his response distracts you away from the concern you have raised. Obviously I am unaware of your correspondence with Mrs X, NHS CHC England over the last two + years but there is a lack rationality surrounding the Chair’s comment that the correspondence would have merely ‘related to the arrangements for the IRP meeting and its associated processes’. (tongue in cheek) The Chair should be of reasonable mind to know that it shouldn’t take 2 years for NHS CHC England to explain its associated processes surrounding an IRP meeting when they have confined the information in one of their handy leaflets. The Chair would have known prior to the meeting that MRS X would be there to take minutes, is he confirming that this is not an isolated incident??? Did he check what communications you have had with Mrs X before writing to you? Is this his assumption or confirmed belief? Would his conclusions be the same if correspondence between yourself and Mrs X was about the case and previous assessment history, discussing relevant evidence?… The Chair may have informed you that his appointment, the appointment of the CCG member and the LA was within the Standing Rules but does not consider the full Standing Rules and UK legislation in connection to the direct concern you have raised. (5) Where an application for a review under paragraph (3) relates to the procedure followed by, or a decision taken by, the Board, it must ensure that in organising a review of that decision, it makes appropriate arrangements as regards the manner in which it organises such a review so as to avoid any conflict of interest. Is it fair to say that the conflict of interest between you and the NHS CHC England could be identified as one of a financial matter, which they are intent not to pay out? It is also concerning that within 2 year period that Mrs X (duty of candour) did not inform you that she would not just arrange the meeting but intended to have an active presence within the meeting, just because the Chair said that Mrs X didn’t say or contribute anything to the meeting is not a suitable answer without having the IRP’s conclusions which could highlight a conflict of interest but Mrs X, NHS CHC England had prejudice the meeting prior to any discussions by not disclosing her past involvement and her knowledge of the case, evidence either during the meeting or in collating the minutes. I would continue to highlight your concern with Mrs X and inform her of your ‘right to a fair process’ (Human Rights Act 1998) and ask Mrs X for an immediate copy of her signed and dated handwritten minutes and why she did not previously inform you of her decision to have an active role in the IRP meeting. Make sense? I am glad it made sense and I agree it is a minefield but of poor conduct rather than process. Evidence is black and white, the protocols are black and white but where I have found the system failing in our case is through poor and non transparent conduct from members of the NHS and CCG. In terms of your letter you may want to consider to title your letter as a ‘formal complaint’ rather than Chair suggesting that you have ‘voiced a concern’ as in the eyes of an establishment they are two different things and the difference will be how NHS CHC England will be expected to act..formally or rather informally and if they are ever asked if you made a complaint they would at this stage say no. I would also say that you should address the letter to Mrs X but also insist that the matter is passed as a formal complaint to their (NHS CHC England and CCG) Governance Support Manager and Equalities Officer to undertake their own investigation/ review and provide you a separate but formal response to your ‘formal complaint’. Hi D Young, how did you get on with your complaint letter?… any response to the letter or IRP meeting? An IRP enables both parties to express their views on these matters which will allow the IRP to identify any shortfalls with the local processes and make recommendations if necessary for future assessments. However identified shortfalls with the local processes alone will not justify overturning a CCG eligibility decision for NHS Continuing Healthcare funding. Hi D Young, No problem and I hope it helps as you probably should not wait for the IRP decision before highlighting your concern of a potential failure to comply with the NHS Responsibilities and Standing Rules Regulations 2012 and ask why the Chair and the IRP members proceeded with meeting under such circumstances. I would also question why an IRP was formed if the case had not received a comprehensive assessment under PG40 + 41 as well as Annex E of the Department of Health set protocol within the National Framework for NHS Continuing Healthcare and NHS-funded Nursing Care November 2012 (Revised) as there is no alternative Department of Health and social policy for the CCG or NHS England to treat you any differently. ‘A further review was done some months later and Continuing Healthcare was recommended but then my Mother had died’. There are two areas where the CCG and NHS England can intervene on the MDT or MDP judgement PG40 + 41 is for the CCG and Annex E should be picked up either by CCG or NHS England & most certainly by the IRP. It again relates to conduct rather than scores as in para 2 you confirm that continuing healthcare was recommended but sadly it was too late & with that admission which I assume was from the NHS is confirmation that your late mothers continuing healthcare funding was under the lawful responsibility of the NHS and legally beyond that of the Social Services (section 22 of care act). ask yourself to why no one in the CCG, NHS England or the IRP picked up on that point? I would not be surprised if you have not already been told or will receive a outcome from the IRP that states that your mother residence in a care home was ‘incidental or ancillary to the provisions of the accommodation’ and met under the Social Services responsibility…. Hi D Young, I was Just wondering how you got on with the results of the IRP? Ive done a little work on your response letter as they will be sensitive to some comments. Have a read and maybe change where it would fit you case, supply any substantiation but reframe from making direct allegation of a crime as they will just shut the door on you…seek out and record the failures of protocols and principles. Thank you for your letter dated 28th November 2018 which appears to have crossed over with my letter dated 30th November 2018. I acknowledge your brief response however I am disappointed to again say that you have not addressed the specific areas of my formal complaint in any great detail which causes me to seek further clarification. Firstly, I would be grateful that you acknowledge my formal complaint and the content of this letter and that it is also sent to the CCG Governance Support Manager and Equalities Officer for them to investigate and correspond with me separately. As you are aware the proximate cause of my formal complaint is that these retrospective MDP and IRP assessments have not, with the knowledge of both the CCG and NHS CHC, received a comprehensive assessment. It would appear that even at the point of the NHS CHC (The Board) organising what was to be an independent IRP review/Judgment that the CHC NHS member staff who was responsible for preparing the meeting would have been aware that documents and historical evidence had been disregarded from the CCG/ NHS CHC IRP Pack and as such would only support an inaccurate, incomplete and misled IRP assessment. It is a detrimental action? Whilst I appreciate that the IRP minutes may not always be verbatim I do expect that they should be an accurate record of the joint discussions between all parties and the evidenced used in making any conclusions and judgments especially when the person taking the minutes was more informed of this case than the Chair or the Panel members. That failure clearly substantiates my concern over the accuracy of the IRP assessment and meeting minutes and it also reinforces my reasonable belief that I have not had a fair or independent process to which can only go to breach the Human Rights under the 1998 Act. As ‘in a nut shell statement’ within the IRP meeting my frustration was clearly made to the Chair and the Panel that with the Chair, Panel and myself were not in receipt of the full facts held by the CCG, NHS CHC and it would be wrong to make a judgement upon a non comprehensive assessment and incomplete IRP Pack. However from the minutes of that meeting that I feel I was deliberately ignored and forms the basis of a breach of the Department of Health and Social care principles and protocols set within the DHSC document, 2012 National Framework for NHS Continuing Healthcare. Within this formal complaint investigation I would also like the NHS CHC (The Board) confirm that without the signature of the Social Worker that the findings of this 2018 IRP has not been finalised or fully concluded? Nothing has not been mutually agreed by all of the IRP members. I also believe that we are both still seeking formal clarification from the Chair to what the Senior Social Workers stated within the meeting to the issue of potential fraud. Can we expect their separate response to be included as part of this formal complaint investigation? Obviously, it is clear that at this stage that it would be completely unreasonable for the NHS CHC (The Board) to expect myself to approach the PHSO office or any other party until my formal complaint has been fully investigated by both the NHS CHS (The Board) and the CCG Governance Support Manager and Equalities Officer. I look forward to your confirmation of this letter and its contents and would be very grateful if you could provide me with any time scales in which this formal complaint should be completed. Hope things are going well? anything from the IRP and how did your meeting with your MP go? Sorry to hear of their response but if we are both honest they were always looking to play the long game and hope you run out of steam. Out of interest who wrote the response letter? Who knows we may be able to find some route to success. Thanks for your continuing input which is most helpful. The response I got was from the CHC Regional Team Leader. I have written to her as follows and would welcome your comments? Thank you for your letter of 28 November which crossed with my letter of 30 November. Whilst the contents of your letter are noted you fail to mention the fact that the Chair didn’t know the input Mrs ?????? had had previously into the matter and that being the case the hearing was neither fair or independent. I therefore wish to register a formal complaint to NHS CHC England (The Board) on the basis that the claim took an unreasonable or unfair turn and infringed my Human Rights to have the right to fair process. Please let me have a written acknowledgement of this ‘formal complaint’ and confirm that this formal complaint is passed to the CCG Governance Support Manager and Equalities Officer and that they also individually acknowledge and register my ‘formal complaint of a breach of the Human Rights Act. Can I also add that in the notes of the meeting you sent with your letter it is correctly noted that I commented at the omission of Mr ??????? signature (Senior Social worker) on the CHC decision as fraudulent when it had been typed in that he had signed. Dr ????? (Chair of local CHC) has confirmed that the document was unsigned. The note I have of the Chair’s remark was that it was a misrepresentation rather than misleading as typed in the notes. As there has been no explanation for this then I would also request that this matter is sent to the NHS Counter Fraud Specialist for a full investigation and also acknowledged. In closing, I remain mystified that there were 3 reviews and two were in favour of CHC and the third flawed in the absence of a Social workers signature. Haven’t got much further forward but what I have discovered is that the 2nd review was never signed by the Social worker (despite them typing in the form that he had) who originally recommended NHS Continuing Healthcare (CHC). Further, they have no record of the third review which also recommended CHC so do I have cause to ask for a decision to be made without the need for a formal review? I have just come from a Continuing Healthcare meeting regarding my mother and have been told because she is medically stable that we may lose full funding it’s an absolute joke. This all stems because I raised a concern which in my opinion has not been resolved yet; seems they can review the funding at any time. Mum was seen by a social worker a couple of weeks ago, I was not informed about this or I would have attended that and given my mum’s side of the story because when anyone asks how mum is, she will say she is fine but what she tells us is totally different. I tried to say how is my mum stable when she is wanting to end her life her needs are still unchanged and never will she can’t do anything for herself . I am now told it will go before a panel on Weds they will then decide I will be appealing against the decision if they cut mum’s funding obviously it does not pay to raise concerns . Hi Sandra How did you get on with the panel decision? have you received a copy of the ‘needs portrayal’? From my prospective the term ‘primary care need’ is a white wash of confusion for the person (Claimant) and their families as it is for the NHS and Local Authority to identify the level of healthcare and social care that the person requires and under who’s lawful responsibility they fall under. Again from my prospective is that The Grogan case law (High Court in R v Bexley NHS Trust, ex parte Grogan (2006)) contained with the National Framework sets the precedent that the person/patient must fall under one of the authorities otherwise there is a situation where the person (claimant) could be in a potential unlawful position of falling into the ‘Grogan Gap’ where no authority is covering the required healthcare needs of the person (Claimant). The other precedent confined within the Framework is the case law of the Court of Appeal in R v North and East Devon Health Authority, ex parte Coughlan (1999) which I believe along with section 22 of the Care Act defines the lawful level of care that can be provided by the Local Authoirty and where they have to stand back and for the NHS to arrange and meet physical or mental health needs which have arisen as a result of disability, accident or illness” (Regulation 20). 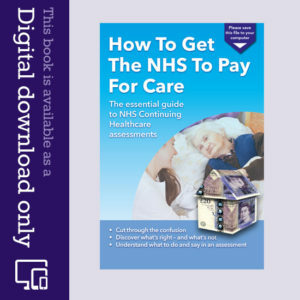 So to summaries it is worth obtaining a copy of the ‘needs portrayal’ along with the ‘domains’ of the a assessment and refer them to the ADASS/LGA advice on NHS Funded Continuing Care in October 2007 in seeing where the healthcare and social care place your mothers case. I will state that I am not a solicitor and this is an interpretation of a very cloudy and NHS uninformative set of criterias and therefore a solicitor or the NHS should be able to confirm if my advice is correct or not. No had no needs portrayal, they haven’t even bothered to write to me with the decision. The social worker who was present at the meeting phoned me last week to see if I had heard from the panel; I hadn’t so told him this he then went on to tell me that my mum is still entitled to full funding, I am still yet to receive confirmation of this which is disgraceful. I am glad mum still gets full funding but would have been nice to have been told by them. Thanks for replying to me. Has anyone used a No Win No Fee solicitor to take their case and if so could you advise if successful and if possible supply me with name(s) of firm)(s.
We have been going through this process for over two years and have been grateful to this site for reference to the National Framework & legal cases. We are at the final stage where we have asked for an Independent review but I am seeing from the initial letter that they will first decide whether an Independent Review should be arranged. Our request was very detailed and provided framework references etc. Is there anything we should focus on specifically when we complete the forms to maximise our chances of a panel? Also. is there a right of appeal if they refuse to carry out an Independent Review? Yes I did attend the Independent Review Panel (IRP). It consisted of a chairman, a social services lead person and a CCG assessor all from different areas to mine. The hearing itself lasted about 2 hours but the chairman said at the onset that there was no fixed time limit. The chairman would not allow me to raise the limit of local care that a local authority (LA) can provide, stating there was no limit, Coughlan is not up for discussion and he would only discuss the domains on the Decision Support Tool (DST) and whether correct proceedures had been followed. All this was further endorsed by the Ombudsman. In my opinion, and experience, unless you have 1 Priority or 2 Severes on the DST you will not get funding. You really have to have a “smoking gun”. I can only advise therefore, to concentrate on these scores. If you do not feel your relative has 2 Severes I would seriously advise you to consider your position. My mother has 1 Severe for Cognition and the care home manager,senior nurse and senior carer all stated at the last Multidisciplinary Team (MDT) meeting and the previous one 18 months ago that her Behaviour was also Severe. The CCG assessors would only rate it at High, based on the daily notes, and stated she does not have a primary health need. I have contested this vigorously for nearly 2 years but to no avail. So I feel you need to concentrate on getting those scores to stand any chance of obtaining funding. Thanks for that – most helpful. Originally, my Mother had 7 serious and then the Panel said the multi-disciplinary team was not properly constituted so sent in another nurse who spent 40 minutes with my Mother. We agreed that the 7 serious could be reduced to 6 and then she submitted to the Panel at which point I discovered she had reduced it to one serious without a by your leave. In fact, she lied and when I spoke with the Nurse concerned she simply said she had changed her mind. She said she felt she was on the scrapheap and lost all will to live – that was 4 years ago and it is only now that I have reached Independent Review Panel stage. Appalling to say the least – my MP has been very helpful in assisting me. We have fought the NHS for continuing care for my late mother we were denied attending of IRP panel as they said we fell outside the eligibility criteria, so even though we had fresh evidence the NHS did not want to know. So we were refused Continuing Healthcare (CHC) at that meeting, with me and my wife not allowed to attend. We then went to health ombudsman who said there was discrepancies, ie they had not explained new guidlines but there was no injustice. I then went to my local MP. He asked to reopen my case. NHS refused as we had been to ombudsman. End of story. My expected inheritance of £98000 gone. I have to now sell my house as i am retired medically and now on state pension. My mother had a property. They have taken all that except £23000 so i have now after 10 years given up the fight. You cannot beat the NHS, they have there own rules and the ombudsman is of little help. I have gone as far as i can. I have sold my house,e i have equity of £75000, i intend to enjoy my retirement despite the NHS. I had a long argument when I was denied attending but after a great deal of communication, research and help of my MP I was granted a right of audience which I understand is a legal right. If you have been denied it then the rules of natural justice have denied you a fair hearing using the latin maxim audi alteram partem ( literally – hear the other side). Get the case reopened – it is irrelevant that the Ombudsman has been involved, Go back to your MP again and sight my case – you must bring pressure to bear? My case went to the Ombudsman early this year but they did not uphold my complaint. I felt after that it had been a waste of time. The lady who dealt with my case was pleasant and professional and the whole review was completed within the laid down timescales. The difficulty is that Ombudsmen (I also went to the local govt ombudsman re the level of care that an LA could provide etc but that was an unbelievable disgrace) can only determine whether the correct proceedures are followed and they cannot overturn a decision. However, they did review each of the scores in the domains on the Decision Support Tool (DST) and concluded there was no reason they had not applied these correctly. The main disappointment was that I pointed out that the National Framework (NF) was a guideline and not the law, that guidelines can never over ride the law and that the Ombudsman was there to apply the law ( learned from Luke Clements excellent video) but her response was that the National Framework was the only criteria which they (the ombudsman) and all other parties used and if I wished to challenge the validity of the NF the place to do this was in court. I sent a 10 page appeal against her decision and I backed every point up with law and the NF itself but her comment was that I had not added anything to anything previously stated and therefore the final determination was not to uphold my complaint. After all I have been through (my mother is 99, severe dementia and unable to do a thing and with other issues ) one has to try to be realistic and not biased and ask the question “could I actually be wrong and they are right?” I think if you are right you will win in the end but not everyone has it right and we are all biased in our own favour. I am 75 myself and have vigourously fought my case for 2 years and have actually reached Parliament with my case (still ongoing) but my life is running out too and sometimes you just have to let go. Did you actually appear at the IRP and if so how long did it take and what was the format of the meeting, as I have one in October and would like whatever guidance you can give? Local Resolution Panels (LRPs) are just like Independent Review Panel’s (IRPs). It’s a way for the CCGs to stretch the whole process out even longer. The Chairman is not independent in either case, thye are paid by the CCGs. They argue that Managed Needs are not outside routine care, so are no t needs. They argued that my Dad had Social Needs and not Health Needs – despite: Dementia, COPD, Heart Problems, unable to manage eve the simplest of tasks and not being able to score even 1 in a MMSE Test. Falls and Chronic life threatening chest infections were stated as mere routine – despite my Dad nerly dying several times everytime he enetered hospital. Page 50, Section 2.1 Of the National Framework accurately describes my father’s needs, but the IRP seemed to think all his needs were basically Social – and seemd to regard him as someone who could have conversations, play bingo and interact fully whilst maintaining his independence despite have Severe Cognitive Impairment had a history of TIAs and Falls with chronic life threatening chest infections. They had to uprate the Breathing needs – as COPD had been missed from the first assessment, Behaviour Needs were raised from Low to High – as he was a severe risk to himself, others and property, Mobility had to be raised from Low to High – as it was a final fall which led to a massive deterioration of his conditions. after agreeing that all these and other criteria were all incorrent, they still said that the Nurse Assessor was very well qualified and very capable – I’d hate to get someone who wasn’t then! I would describe the Nurse Assessor as Criminally Negligent as her deliberate down grading of his Needs may led to a reduced care regime. He was allowed to wander around backwards with his hands in his pockets – this led to a severe fall – injury to legs and head, after which he never walked again, leading to a severe chest infection where a PEG was discussed. This was all regarded as “routine care”, “predictable” and “non-complex” – nothing out of the ordinary – apart from the fact that my Dad nearly died several times. That suggests that they could not care less about my father’s (and Mother’s) Healthneeds – it was all about the MONEY! Has anyone experience of the Ombudsman? Did you actually appear at the Independent Review Panel (IRP) and if so how long did it take and what was the format of the meeting, as I have one in October and would like whatever guidance you can give? The board does have the right to decide in any individual case not to convene an IRP. It is expected that such a decision will be confined to those cases where the individual falls well outside the eligibility criteria, where the case is very clearly not appropriate for the IRP to consider. Before taking such a decision, the board should seek the advice of the chair of the IRP, who may require independent clinical advice. In all cases where a decision not to convene an IRP is made, the board should give the individual, their family all carer a full written exclamation of the basis of its decision, together with a reminder of their rights under the NHS complaints procedure. The chair has determined that the case is suitable suitable for independent review via the consideration process, as explained in our letter, and in accordance with paragraph 14 of Annex E.
After telling me I was not eligible to attend a hearing of the IRP I have now been granted this – a complete change of heart. Does anybody recommend the best way to argue the case? In response to Dom I have now written to NHS England regarding the Independent Review Panel (IRP) using substantially the argument as set out in your comment one week ago. The old process was that all matters were heard at a full Independent Review Panel, in which family were invited to attend. It is only since a recent piloted scheme that the allocated Chair will assess whether that meeting is necessary, or whether the matter will be reviewed by the Chair and a Clinical Advisor only. That is in the circumstance where the Chair considers that the care falls well outside the eligibility criteria. Unfortunately, they have yet to have a case where the full meeting is not offered and are therefore unable to give me any clear advice on how to overturn the decision. They have advised that I contact the Chair (which I now have done) and request opportunity to appear at the meeting. They suggest I should also ask for their reasons for not holding a full panel, if they have not already been provided, so I can argue against them. When making reference to specific documents, the best thing to do is to include a link to the document in question, e.g. the National Framework) plus the relevant page/paragraph number(s) – rather than copying and pasting large volumes of content into your comment. Many thanks. IRP, without completion of the local process. appropriate rationale related to this guidance. by family, advocates, advice services or others in a similar role if they wish. Board (and subsequently by the CCG) in all but exceptional circumstances. Therefore you should not wait for your invite, but insist on giving substantiated oral evidence to the IRP. At the moment i am arguing the self same point with the ombudsman, as the same thing has happened to me and i thought i was going to a panel meeting. However i received a letter saying a panel would not be required. Basically it was done behind closed doors and i had no input. I would suggest you demand youre right to a panel if you dont get it go to the ombudsman but be prepared for a long wait. I will let you know how i get on. They are doing a draft report at the moment. Its been going on for 6 months – they are changing the goal posts. Insist on attending panel meeting so you can present youre case . Thanks Nigel – that is really helpful and I will take up your suggestion and let you know how I get on. In the meantime if you hear anything from the Ombudsman can you please let me know? What was the outcome of your case with the Ombudsman? At last, after 8 months, I have received a letter from NHS England saying the case is now ready for Independent review via “The Consideration Process ” (whatever that means?) which has been extended until 31 March. I have been told that the Chair and Independent Clinical Advisor will now review the case. Can anyone tell me whether I have a right to be heard in front of a full panel please? I am not sure if I am any help or not. I have been working on a retrospective claim on behalf of my mothers own mother and without going into detail about my our own case, I ve done my homework so to speak and yes you are right the CHC/CCG should take into account case law of the Court of Appeal in R v North and East Devon Health Authority, ex parte Coughlan (1999) (LA limit), but they should also take into account the High Court in R v Bexley NHS Trust, ex parte Grogan (2006)..the ‘Grogan gap’, meaning There should be no gap in the provision of care. People should not find themselves in a situation where neither the NHS nor the relevant LA (subject to the person meeting the relevant means test and having needs that fall within their eligibility criteria for adult social care ) will fund care, either separately or together. Indeed Richard is correct, it will be well worth doing the Freedom of Information Act, although I would also title it as a Subject Access Request. It will cost £50 but it is worth it. In your mothers case I would be looking for a Waterlow assessment. It is one of many standards scales that the National Framework should accept and if done by a professional would be hard for the CHC /CCG to argue. a score of 20 and above indicates very high risk. I would also advise you to read within the ADASS/LGA advice on NHS Funded Continuing Care in October 2007. there is an interesting statement that the CHC/CCG should take note of ‘intensive or continuous general nursing and/or health care of a volume which cannot be considered incidental and ancillary to their need for accommodation’. Thanks for your acknowledgement. I hope the appeal has or about to go well. Not sure how ‘Routine’ nursing care needs fits within the legal limit of care works, but then again we got hit with use of the phrase ‘predictable’ level of care. The repudiation letter you previously received may confirm the ‘Citerias’ they referred to during the assessment and it should include the National Framework July 2009 (revised November 2012). I think the Assessor would probably say they made a ‘mistake’ 😉 as the Court of Appeal in R v North and East Devon Health Authority, ex parte Coughlan (1999) (LA limit) is in the contained within the current version of the National Framework for continuing care which is the predominant guidance document the assessor should be using . From my experience, I would say it is because it appears that (Coughlan) case law that defines the legal limit of care that a local authority can provide and if they do not apply it, then they have room to play down your mothers NHS continuing care level of care to just being something that is just ‘ancillary to the provisions of accommodation’ i.e a Care Home with just a dash of nursing care. 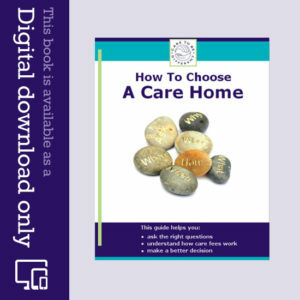 Therefore in deciding if the legal level of nursing (not social) care that your mother requires, the assessor should also be recording all the evidence, including Standard Scores such as Waterlow, Bathel and Norton as well as any medication that needs to be administered by RGN as well as your mothers mobility and fall risk surveys, etc etc…(Nursing care plan from the home). It is also a very interesting comment, that the assessor is using another form of guidance and you should probably should do a Freedom of Information Request (costs nothing) to request what the ‘guidance document’ was. Wow sounds like a frustrating struggle just to be heard let alone have an evidenced based decision. It certainly reads like they are just pursuing their own chosen route of assessing your mothers claim. I really feel for you. Some thoughts and I am sure you, your solicitor may be aware but I believe the assessors decision through Decision Support Tool (DST) and Panel Notes, etc, still has to be formally accepted by the CCG. Perhaps it is worth logging a counter argument to the CCG about the appeal meeting that has just gone. Highlight the failures, including the assessors ignoring substantiated evidence, not knowing the Coughlan case law and not following the National Framework and request the CCG answer the questions and the evidence that the assessors failed to do. The question is – if your Local Authority (LA) would agree that your mother (according to the latest CCG review) is now lawfully under their duty of care or would the LA say that your mothers health care needs are ‘intensive or continuous general nursing and/or health care of a volume which cannot be considered incidental and ancillary to their need for accommodation’ and beyond their lawful ability. Might even be worth (I would writing) to the CCG and requesting the name of any person to correspond with, who does have the case law knowledge of the Coughlan case. If it is in the National Framework someone in the CCG must know how it defines the legal limits of NHS and LA care and request a written confirmation. See how they like being put on the back foot. Yes we highlighted all the failures of the process – lack of knowledge of law etc immediately after DST and repeated them at Appeal. Appeal Chair stated that Pamela Coughlan no longer alive and “things have moved on”! At the appeal meeting but not part of the panel was present and logging notes on computer was an assessor who had previously done a Multidisciplinary Team (MDT) assessment on Mum using another flawed process about which we complained. Lo and behold I find out today when going to see Mum that this same individual is planning on doing an “informal assessment” – they have communicated this intention to nursing home but neither myself or my solicitor have been informed. I query the legality of this given that I am Mum’s advocate and attorney and am fully involved in her care as they well know – to assess her in any way without informing me and allowing me to be present is surely a breach of her human rights?? I am lucky that Mum’s nurse and all care staff are completely in the loop and will be asking this individual if I have been informed and seeing what the response is. LA did not attend last MDT – illegal of course but I’m sure that as Mum was already in CHC then it would continue. Having been referred to the guidance on this site it is clear that she would be well beyond their legal limit, but none of this stops CCG’s. Still no decision on my Independent Review (IRP) – I phoned again today and they said they hadn’t a clue when it would be dealt with. Bearing in mind my original letter of appeal was in May of this year I find it incredible that there has been such a lack of action and nobody within the NHS is able to tell me when a decision as to whether I am even eligible to have an IRP. The whole thing is a complete farce! FOI for “technical non personal information” e.g. policies; DPA subject access request for notes; medical records separate request but DPA might also be worth it too; may get odd e mails between staff about the patient and comments that dont make it into the records. I am experiencing many of the problems outlined here. My mother was awarded Continuing Healthcare (CHC) in 2013 after a Decision Support Tool (DST) etc and as a result I managed to locate her in an appropriate nursing home which could meet her needs. We have just had the latest DST review – a meeting which lasted all day at which my solicitor and clinical lead were present and full notes were taken. During this meeting the assessors made constant reference to their “internal guidelines and criteria” which clearly differed markedly from the National Framework. They have been asked to supply copies of these as this procedure runs counter to natural justice but of course we have not received as it was described as an internal document. My mother of course scored higher against previous assessments – one severe, several highs and the rest moderate. She has serious skin issues which should have been rated as severe too we were told that the award of CHC is on that day only -i.e. because one pressure sore had healed then she no longer qualified – of course these have returned and it is an ongoing regime of dressing and care. We knew at the time that the agenda was cost not care needs and as predicted I have received a letter following the “review panel” removing CHC and taking my mother to Funded Nursing Care (FNC) plus a continence payment giving us 28 days to appeal. This seems to be the option to which they want to move everyone. My understanding is that Coughlan is the benchmark – there is no middle way which suits the CCG. Social services did not attend – I believe because they assumed that Mum’s CHC would continue as her needs had only increased. Mum has got no matter with some issues e.g. skin worsening etc and involvement of Tissue Viability Nurse (TVN). I believe that we have demonstrated complexity and intensity. I see Mum every day, am fully involved in her care and keep a daily diary but all seemingly disregarded. I am minded to ask social services to do an assessment against their legal limit. Feeling particularly down at this point – if anybody else is having or has had this experience I would love to hear your experiences. The DST process is deliberately adversarial in my opinion and designed to wear down families at their most vulnerable. It is also completely immoral as the agenda is cost based not health based. File a Freedom of Information (FOI) and a Data Protection Act (DPA) request for the documents. I have now reached the stage of submitting the form for an IRP and await their decision as to whether they will hear me. I was particularly incensed that at the local review stage the Chair person was an individual who I had corresponded at length with and had been part of the original decision making process. It was clear from the word go that the Chair’s decision had already been made and after an hour and a half’s deliberation was told to expect a decision within 10 days which was negative to say the least. Had it not been for the fact that my legal advisor had driven down from Newcastle for the meeting (a specialist in this field acting on a no win no fee basis) I would have refused to proceed with that meeting because the Chair was being a judge in her own cause and thus a breach of the rules of natural justice. I will update this as and when I have a decision from the IRP. Nigel – The stage before the Ombudsman is the Independent Review, and that should be conducted by a panel of people (including people from outside your area) and you should be invited to attend and input fully into that. Who triggers CHC assessment? CCG group have agreed a fresh one but NHS refusing. Do Age Concern provide advocacy services for an IRP? David – you’d need to ask AgeUK. Try their central number. Thanks for you’re reply. I am intrested to know weather anybody else has experienced not requiring a full panel and receiving a report, or is this something new from the NHS? Hi – i am currently waiting a report to be sent from NHS England with regard to my claim for repayment of care home fees. This is independant review panel. I have been told a full panel is not required and a report will be sent in next few weeks. If a panel was to take place it would have been september. Does this mean they agree with me and evidence submitted? Nigel – we can’t say whether they do or don’t agree with you, but you should receive a decision within six weeks of the Independent Review (IRP). Indeed, Richard, it’s a grotesque abuse of pubic funds – not to mention the appalling impact on people in care and their families. I am still battling the authorities. I am due a hearing before the Independent Review Panel on the 8th July. My mother is now 98 and the CCG are still trying to tell me she is improving!!! I have just recently made a formal complaint to the local Social Services regarding their refusal to advise me of their lawful limit of care etc and have now put this case to the local government ombudsman as suggested by the very person who refused to answer my questions and on the advice of my MP. I currently have my own and my mothers MP supporting me through my appeal and hearing before the IRP. My question is that although I have all my arguments documented and at the ready and have read the National Framework to the point where I can almost recite it backwards, I do not fully understand the exact interpretation of intensity, complexity and unpredictability. My mother’s behaviour is clearly unpredictable (she has severe dementia and her behaviour is now verbally and physically abusive) although the assessors claim that because the carers know they have to approach her in two’s and that she will hit out, kick, scratch and attempt to bite the carers during personal intervention her behaviour is predictable. Could you advise me on the precise interpretation of these terms or point me to some appropriate guideline which explains these terms in detail. Irene – the first point to note is that it doesn’t matter whether or not the carers do or don’t know that your mother’s behaviour is unpredictable, it’s still unpredictable. A managed need is still a need. I have heard assessors describe needs as ‘predictably unpredictable’, which of course is nonsense. They’re unpredictable – simple as that. Regarding the definitions of Nature, Intensity, Complexity and Unpredictability, follow the definitions in the National Framework and Decision Support Tool – and, importantly, note that it says underneath the definitions that a person needs to have only one of these characteristics (“…alone or in combination…”). We had to attend Independent Review Panels on two separate occasions, firstly for my Dad in 2009 and then for my Mum in 2015. In both cases we thought the IRP process had been fair and equitable. Obviously, our judgement must to some extent be clouded by the fact that we won both cases! On both occasions, we were given the time and space to deliver our evidence and present our views. However, this was the first time in both cases where we thought that there had been any relationship between the guidelines and actual practice. Until then, we had met with apparent incompetence, misapplication, time-wasting and, in our view, complete indifference. It took two and a half years from our first appeal to get to the IRP and in my mother’s case it was almost three before the care costs were reimbursed. where we share our personal stories and outline how we went about fighting for what we believed; that in both cases there was a clear primary health need. We detail what we did in the hope that it might be of value to others. We were vindicated in both cases by an IRP. That’s all very well but financial redress, whilst important, is not the nub of the issue. By the time these cases were won, both my parents had died and they never got access to the packages of care that should have been drawn up following the continuing care assessment, had the correct decision been made in a timely and competent manner. And that’s the real tragedy. There were five years between these cases and nothing had changed, except perhaps that the obfuscation, malpractice, ignorance of guidelines, partial use of evidence, and lack of use of risk assessments and care plans had all seemingly got worse. This seems to be the real challenge and that’s what we would like to do – gather as much information as possible about these failures and challenge the status quo so that in the future just maybe it won’t be as bad for those that follow. Thanks very much, Peter. The information you’ve published is very useful – and I’m glad that you managed to succeed, eventually, in your parents’ cases. As you say, it’s not about the money per se – it’s about properly funded and timely care at the point where it is needed. Wishing you well with the website. Since writing the above I have just received the DST and the nursing notes from the last assessment. The final para headed “In your opinion can the patients best needs be met I:” they have ticked the box and underlined Nursing Home/EMI placement (24 hour RN/RMN on site) and have added the comment under Rationale for above placement decision “General oversight Registered Nurse” Does this not indicate that my mother needs to be in a nursing home for health care and therefore should still be eligible for CHC? I’ll email you about solicitors, Irene. Regarding the question of ‘managing needs’, keep in mind always that the assessment is not about how well the care provider can manage the care needs; managed needs are still needs, as the National Framework clearly states. The assessment process is about underlying needs – as they would present if no care were in place. Being in a nursing home does not in itself make someone eligible for CHC; it’s the whole picture of need that counts. Since the above, the assessment was held and the recomendation was to withdraw the CHC. I immediately handed in an already prepared appeal and followed it up with a further letter claiming Coughlan compliance etc and contacted my mother’s MP who contacted the CEO of the local CCG. Upshot is that it went to panel anyway but they have deferred decision and she is to be re assessed and 3 meetings have been arranged next week. I have little faith that the outcome will be any different and feel I will have to seek legal representation. Are you in a position to recomend a legal firm who are experts in this field? It is so frustrating that the CCG refuse to accept the law and insist on box ticking on the Decision Support Tool (DST) despite me pointing out incessantly that they are not acting within the law. Thank you again for your help. Thank you Angela. I have just had a meeting with the Social Worker and the DST is to take place in a few weeks to decide if CHC will continue. I did tell him that if the funding were withdrawn I would appeal immediately as my mother passed the Coughlan test. My question is if they do decide she is ineligible– he explained that funding arrangements would have to be put in place (these would mean my mother paying for her care) although I will immediately appeal– can I refuse to pay until the appeal is finally settled? I have read somewhere that funding should not be withdrawn until a satisfactory funding arrangement is put in place. Hi Irene – I wouldn’t be able to say whether you mother should be eligible for Continuing Healthcare without looking in depth at her health needs, care needs, risks, etc. But if you do need someone to help you with this, we can always put you in touch with an adviser. (Just use the Contact form at the bottom of the website if you do.) Be sure to pick up on any attempt by assessors to diminish needs by saying they are ‘well managed’; well managed needs are still needs – and they should be assessed as if no care were in place. Hello, wonder if you can help. My mother is 97, has quite severe dementia, unstable blood pressure ( hospital tried for 4 months to stabilise it but couldn’t ), doubly incontinent, diabetic and immobile. CHC was granted last December and my mother discharged into a nursing home of my choice and was reviewed today after 7 months. This is the 3 month assessment which was overdue. I arrived at 2 pm for the assessment but the CHC nursing assessor had been at 10.30 am and I was not told of the change. Managed to speak to them over the phone and they are looking at withdrawing the funding and granting the nursing funding instead as they say her nursing needs have lessened and can be managed by a qualified carer. Decision is not final and they are calling in an independent social worker and having another assessment prior to the full assessment. I told her over the phone that my mother is worse re the dementia as she does not always know me these days and says she has no children. The hospital specialist said she had a heart condition which was life limiting and she would not improve, only deteriorate. They maintain her altered states of conscious rating has improved (on the DST) as she has not had any episodes of fainting, she is no longer aggressive to staff and has gained a little weight ( after losing 2 stones she has gained back 4kg) and no episodes of plummeting blood pressure. I have maintained that as my mother never moves her BP will not plummet and she has slightly improved simply because her needs are managed. I find it difficult to accept that at 97 she can be improving. I have told them I will appeal any decision to withdraw full funding and in passing I mentioned that the guidelines she was quoting were not law, merely the NHS guidelines. I added that under the law if a patient needed nursing care it was free under the nhs and their decision tool was not in fact law. They are contacting me when the next review is to be held and will send me their report which I asked for to compare. Do you think I am acting correctly? Sorry to ramble on but it is a bit of a minefield. Since last post have received a DST and completed Checklist from Retrospective Review Team stating that funding will be considered for the period 1 Jan 2012 until mum’s death on 12 Oct 2012, but not for the initial period 22 Aug 2011 until 31 Dec 2011. We queried the criteria for this and wrote again on 28 May 2015. The inference was that review was now imminent. However, have just rec’d another letter from Head of CHC Team which waffles on in general terms but makes no reference whatsoever to the current situation. I have pointed out that my mum’s hospital case notes contain many errors and ambiguities but even tho decisions are supposed to be made on accurate note keeping no-one has been interested enough to ask about these mistakes. As I write, the BBC news is on – there is a flypast of WW2 aircraft commemorating the 75th anniversary of the Battle of Britain. Ironic, is it not, that the majority of people who have been defrauded out of their life savings are the very same people we pretend to be so grateful to for their sacrifices – the very people who have paid most and taken least. It is nothing short of a national scandal. I shall continue to pursue my late mother’s claim. I think many families would echo the sentiments in your last paragraph here. Following my last post I have written to the CCG to state that I wish to appeal their decision and have received a phone call to say that they would like to arrange a one to one meeting with me before the appeal to discuss the results of the DST and why they have changed the results. Would you know If this is a normal part of the process as I have not seen it referred to on any websites or documentation. I called them to arrange a date and it appears that their will be two on their staff present so not exactly “one to one” . Would you have any thoughts on this ? I am wondering if they are going to try to scare me off ??? What a very distressing experience, Phyl. You’re right that it can be an uphill struggle, especially when you’re battling with people who either don’t understand the Continuing Healthcare guidelines and case law, don’t listen and/or who just don’t want to provide any funding. This sounds like a local ‘dispute resolution’ meeting. Reports from families indicate that this is often a meeting where the NHS try to justify their actions and decisions, rather than being willing to concede that they may have been wrong. If the outcome of that meeting is unsatisfactory, keep going with an appeal. Thank you Angela , you are quite right that is exactly what happened and I am indeed going to continue to appeal . Mum is 91 years old has had Alzheimer’s for 9 years , so is at the final stage and she suffers all of the debilitating conditions associated with it . She also has Atrial Fibrillation and Left Ventricular Heart Failure and Osteoporosis. She has been in a care home since 2010 . In connection with our retrospective claim we recently had a full assessment where after a 3 hour discussion with the nursing assessor and social worker , the decision support tool indicated she had 2/3 severe , 2 high and 5 moderate weightings. However Mum has been refused funding . Just as an example ,she has a tendency to wander at night and confusion and cognitive impairment means that she is very difficult to settle. She often wanders into the wrong room . This is clearly documented in her care home notes and was included in the needs portrayal document . The CCG have however concluded that it is ” her choice ” to not go to bed !!! They therefore refuse to accept this as evidence in the cognition or behaviour domains and have dropped both weightings to a lower level !!! Is this legal ??? They have also concluded that social needs outweigh health needs even though she has 4 medical conditions , she has had falls , one of which resulted in a broken wrist . She pulled the cast off on three occasions and had to have it recast in hospital . The nurse assessor’s response to this was that. ” we are all at risk of falling “!!! I could go on and on with more examples . They considered her to be ‘”predictably unpredictable ” which is a term I have since discovered is frequently used to decline funding. We will be taking this to the Appeal stage and no doubt beyond !!! It is very frustrating and unfair , the whole process seems very questionable and it will be interesting to see what happens next. Those scores should trigger eligibility, Shirley. And the twisting of language to play down and distort needs is sadly very common – not to mention the statement about falling. Yes, “predictably unpredictable” is laughable – and I have heard it myself several times. Keep going – sounds like you have good grounds for appeal. It has taken us four years but tomorrow we go to IRP because our funding was turned down, my mother-in-law passed away in April 2012. I will post again once we have heard the outcome. It has cost us nearly £8,000 in solicitors fees and it has been a real roller coaster journey of emotions for the family. Does anyone know, should existing funding remain in place while an appeal against a continuing health care review decision to remove funding takes place? Our mum actually got awarded continuing care after her assessment (she has severe Alzheimer’s). But they refused to pay it unless we moved her to a nursing home of their choice. Both places they suggested were failing to reach the minimum requirements of care. We appealed this decision but were told if we didn’t move her they wouldn’t pay. I can only assume this is to do with money. They stated mum was at risk !!!! where she was. This is total rubbish as the main problem was her skin integrity. The care home she is in followed all medical directions and there are now no further problems in this area, which proves she did not have to be moved. The funding was for 3 months and would continue until the next assessment was done. We have not seen or heard from them since and no money was paid. Mum’s savings have gone and we currently have her house on the market. We applied for deferred payments but had no contact from them for 2 months. We currently have our MP taking this forward with the Director Adult Social Care. We have just been contacted for a financial assessment to be completed. Funny how they contacted us when our MP is involved and we have advised we are seeking legal advice. How can she be awarded continuing care and not paid it. Surely she still has rights even if she does have Alzheimer’s. We have looked after mum for 4 years in her own home and self funded for a further 5 years in a care home with no help at all. It sounds awful but in many ways, familiar. I sincerely hope that you are not paying for care at all or reimbursing the County Council for the care. Our last attempt at IRP took 27 months in total. So hang in there. Make sure that the money is available in case you lose or give up but do not pay any until such happens. Because the sums are so high it is sometimes sensible if you can find a properly knowledgeable lawyer to look into any legality issues. After all (my solicitor stated this), if the money is used to defend the money and little ends up left, then that seems reasonable in the circumstances. It also stops the Local Authority from getting their hands on it and who knows, it might actually help. It is unlikely that defending money of a loved one can be viewed as attempting to deprive the LA of it. Linda – if your mum was awarded CHC then there’s is no need for any financial assessment and you don’t have to answer any questions about money. The NHS should cover all assessed care needs. Let’s hope your MP can make a difference. Can anyone offer advise after the GP told us to apply for CHC for my then 91 year old mum in July 2013 the entire process has. A complete farce following 1st MDT – it was decided that all we needed to do was seek evidence in the form of supporting letters from each of mum’s consultants all of whom had known her and were treating her. This was not an easy task but I informed the panel I would set about getting the required info as it was being placed into the hands of a very overworked district nursing team. At the end of the meeting I was asked which care home I had in mind for my mum, whereupon I replied none – she wants go remain at home to which the reply from the CHC team and DNS was “we don’t know how to make that work” whereupon I reminded them that the NHS guidelines clearly state that is clearly an option, and I requested can they please organise how they can make it work in order to adhere to the Framework. It was at this point there was clear change of opinion around that table! I set about contacting 5 of mum’s consultants, ALL of whom wrote letters in full support of the application. There ensued in my opinion a great deal if maladministration – many meetings, one particular MDT where my apologies were given for non attendance as apparently my I had a prior engagement – a complete lie! The scores were altered and the most vital information from the consultants it appears is allowed to be completely ignored by far less qualified staff. This it seems to me entirely improper. What is the purpose of wasting consultants time supporting application for it to be ignored so blatantly? Finally in Dec 2013 we are given the rejection we had fought so hard to avoid. The GP had written to me in October stating the recommendation would be to grant CHC a letter – apparently one which the MDT meeting had no knowledge of and asked me if I were mistaken. I produced a copy. Very soon after that the lead of the CCG wrote to me and said to ignore the GP’s letter as operational procedure had not been adhered to at the initial stages. That should not have negated the decision!! I have had a dispute resolution meeting last May. Immediately I requested NHS England look at the decision; I have now been told that as they are so inundated they cannot look at the appeal until Dec 2014. That will be 17 months in total. My mum’s health obviously will not improve. She is 93 in November. Amongst many other comorbidities she has no short term memory due to stroke/vascular dementia and she is an insulin dependant diabetic requiring insulin twice a day. However I am informed her needs are not primarily health related – they are social. The lunatics have indeed taken over the asylum!! I think I would agree with you, Carolyn! The CHC team should be doing the work to collect the evidence required – although it’s always good to check they’re looking at the right evidence. Sounds like an appalling catalogue of misconduct, maladminsitration and flawed process in your mum’s case. Frustrating to say the least. I ‘d like your thoughts on my experience so far. Three weeks ago I in company with a ward sister completed a pre assesment form for continuing care for my mother. My mother has Dementia, Rhuematoid Arthritis, Diabetes and has previously had a stroke, she is currently in hospital after yet another fall which resulted in a badly broken leg. The score on the assessment came out as 5 A s, which I understand should have meant my mother should moved on to a full assessment. On Tuesday I met with the Dr and Occupational therapists. It was agreed that Mum needs a care home. Today I was contacted by the ward and a told that my mothers care needs had changed and another form needed to be done. Nothing has changed… I have received two explanations, the first ..its an old form have to do a new one.. second her needs have changed… they haven’t. I contacted the discharge team to query. The answer I had was most interesting. It was explained that perhaps the ward sister had not understood what is meant by severe when completing the form….for example my mother is doubly incontinent, therefore the Sister marked as Severe.. but apparently if my mother doesn’t suffer diarrhoea and her incontinence is managed she would score a B. Its only managed because she is in hospital!! I am due to re attend the hospital tomorrow.. I do not feel that completing another form is appropriate. The ward social worker also contacted me and almost immediately mentioned top up payments for care homes… I refused to speak to her regarding any funding and explained that my mothers care needs had not been assessed. What do you think? 1.3.1 where financial loss can be shown to be demonstrably attributable to the wrongful denial of Continuing Care funding, compensation payments should be aimed at returning individual to the financial position they would have been in had the maladministration not occurred (i.e. calculated on a restitution basis). Although this is a document from a local CCG, the broad guidelines published by the Ombudsman would apply nationally. Thank you Angela. Having now won the appeal we obviously have to wait for financial redress. We had a very complex situation where our Father was terminally ill at the same time but quite capable of taking care of himself. He spent the last few months of his life trying to care for our Mother and also worrying about what would happen to her after his death having been casually advised by various people in the social services and NHs that she would not be eligible. I have read up on the parliamentary ombudsman guidelines which says that in addition to compensating for financial loss with interest, the inconvenience and distress caused by having to make difficult financial decisions at a challenging time, should also be taken into account. However when I raised this issue, no one seems to have heard of it. You can understand that I do not have a great deal of trust in the whole process and I wonder whether you or anyone out there can advise at this stage or point me in the right direction. Hi Carolyn – financial redress should take into account all the ways in which the individual has been compromised financially because of the errors in an assessment process and eligibility decision. See Annex F in the National Framework – and in particular paragraphs 12 and 14 on page 134: https://www.gov.uk/government/uploads/system/uploads/attachment_data/file/213137/National-Framework-for-NHS-CHC-NHS-FNC-Nov-2012.pdf I believe the previous (pre 2012) Framework did make reference to recompense for distress caused, but the current Framework doesn’t. However, that doesn’t mean you couldn’t make a claim for that – in my view it would be perfectly valid. The NHS will of course want to argue about it. We have just won our independent appeal for retrospective continuing care for our late Mother. The advice on care to be different site has been invaluable as has the comments and experience of the former chair. The initial review was very flawed and selective in the evidence that it looked at. However we almost gave up at this point as we found it so traumatic and did not want to keep reliving the past. I can honestly say that had I not read Richards account of the process then I would have gone no further. The advice given is spot on – the family must attend the appeal to have any chance of success, do not assume that these people necessarily know what they are doing and are more knowledgeable than you or feel overawed by it. The relief that we feel as a family can not be overestimated and having seen it through, we feel that we have finally achieved justice for our family. That’s really good news, Carolyn. Thanks so much for letting us know – and well done for persevering. It’s certainly not an easy road. I’m so glad Richard’s article was helpful. Wishing you well. Hi, In response to the question of Independent Review Panels. (IRP). I have argued two assessments at such. I was not allowed to mention previous DST evidence even though it showed forgery and fraud. I was not allowed to discuss precedent (past records and decisions), and how it is considered by senior Judges to be required in decision making processes or only random outcomes can be expected to occur. The Coughlan decision was out of the question too. All above and more was refused because the IRP has the same limited remit as does the NHS panel when it makes it’s deliberations. The same would appear to be true of the Ombudsman’s remit too. Having seen an application for Judicial Review of a CHC decision, turned down by a Judge, it is apparent that The Courts seem to believe that the appeals process is all encompassing. They are misguided. But then that is the whole purpose of the National Framework. To mislead, misguide and avoid responsibility and expense whilst claiming consistency and transparency in decision making. All other welfare benefit deliberations have a tribunal process that forms a part of the lower Courts. CHC is a means (needs) tested benefit in all but name. I was very interested to read the above article. I am not in a care home as I am desperately trying to stay out of one and stay in my own home which is already fully adapted for my disabilities as I am only 66 and a dwarf so the prospect of having to interact from my wheelchair with any average height environment let alone those in a care home enhanced for the elderly by raising things would be a demeaning challenge. Since a fall last July, which has rendered me totally unable to weight bear and must therefore be hoisted in/out of my wheelchair and wear pads 24/7, I am at present paying for Live In Health Care for myself. I am totally dependent upon 1:1 care and have recently been assessed for NHS CHC but eventually received a not eligible decision after waiting, having been left totally in the dark with absolutely no paperwork or contact person/number etc, for mths, waiting for a Decision. I became increasingly stressed, distressed, distraught and disillusioned, as I was also kept completely in the dark for 3 mths awaiting a Social Services Care Assess. I was totally frustrated and afraid that I had yet again been forgotten by the very professionals in whom I have to put my vulnerability, dependency and trust. I had previously patiently awaited an assessment for a ceiling host installation only to finally discover 5mths on after chasing & chasing that the referral had not ever in fact been made despite being told whenever I did chase it that the person concerned would chase it ~ thus I had assumed that there was a referral for her to chase. Mindful of that debacle I went online to seek whether there were Policies & Regulations & Guidelines to govern both Social Services Community Care Assessments and also for NHS CHC. I found very clear Procedures and Guidelines which provably hadn’t been adhered to in either case. I was horrified at what I found as in fact out of 11 possible “alleged malpractice” instances quoted on the Ombudsman’s site I could tick 8 that I could provide irrefutable evidence of in relation the the “management” of my NHS CHC assessment. I couldn’t believe it so I read and reread and double checked the facts before I put together two separate emails in which I copied & pasted the relevant paragraphs from their respective Guidelines and sent them to the only contact address I had for Social Services asking to please forward the NHS CHC email to the relevant party as I had absolutely no contact point for them. First thing next morning I was rung and an appointment for my SS Care Assess was made for the next week ! He said he’d forwarded my NHS CHC email to the relevant person. I heard nothing from NHS CHC until 2 weeks later when out of the blue I received a phone call to say that it was a “no” decision but a Joint meeting with SS would be held at my home in 13 days time to discuss Joint Funding with SS. I knew from all my in depth Policy “researches” that that was not correct procedure either as finances cannot be discussed until after the assessment and after a Care Plan has been drawn up and discussed & agreed but I agreed to the meeting as by then I would have had the SS Community Care Assessment and out of the 5 officials coming 2 would be the relevant managers for SS & CHC and I would welcome the opportunity to put my “case” before them. I then spent every waking hour and most of the nights carefully compiling a document that I put before the meeting which I asked them to read BEFORE the meeting began. I had asked 18 specific questions (each one linked to the relevant section(s) from The National Framework) as to why procedures & Guidelines hadn’t been adhered to plus a number of other irrefutable points. I asked for my copy of The Checklist and it’s accompanying letter (which I had never received) and my copy of DST and it’s accompanying letter which I hadn’t received following the Decision phone call nor was I given my copy at the meeting. Prior to the DST I had had absolutely no “multidisciplinary comprehensive assessment” as I had had no assessment of any sort as I had been awaiting the SS Care assessment for 3 mths. thus I believed the only assessment I had had was answering the DST questions. I had never met the Dr. who’s contribution to the DST assessment was a mere “hard to say” in answer to being asked as to my condition/progress and when I finally received my copy of and read the DST I wouldn’t have “given” CHC to me either as I didn’t feel that it in any way described my unpredictable interrelated needs. I had written to my doctor to ask if she felt she could refer me for CHC with particular reference to Sec 12. She didn’t reply but after a few weeks a receptionist rang me to say that she didn’t see why not. Some time later completely out of the blue a Community Matron arrived to do the Checklist and I was put through for the full assessment. At the first session I asked for them to explore my “different” care needs under Sec. 12 as the other sections didn’t allow for my additional and different specific needs to be logged but they hadn’t done it saying it was hardly ever used. The upshot of the Joint Meeting meeting was that my previous NHS CHC Assessment is to be re-done. I have subsequently received written (as I had requested) answers to the 18 questions which do not excuse the mismanagement and an unreserved apology for the mismanagement. I am fully compos mentis & was able to access the internet. I am totally housebound so without that access I would have been totally unable to “fight my own corner” and discover mismanagement from both Social Services & NHS CHC and how my assessments should have proceeded in a timely and fully informed and empowered manner. In both instances both managers have said that I had highlighted very clear Training issues. I now await re assessment from CHC but I have said I need time to recover from the almost unbearable stress and distress and just sheer emotional and physical exhaustion that having to chase both SS & CHC has caused me. The SS assessment has been now been completed – that is Another Story as again my particular circumstances/disability care needs don’t fit the proforma “boxes” and unless I had provided specific in depth details of my care needs no proforma questions could or would have asked the relevant questions to establish the degree and depth of my care needs. Again I am compos mentis and was forewarned from seeking Guidelines from Online re how/what a Community Care assessment should cover I provided another detailed Document for the SS assessment of my “specific nature, complexity, intensity & unpredictability” of my care needs and also provided the already existing detailed Care plan drawn up as to how to meet those needs that the private agency I am paying for Live In Care operates under. I am now experiencing exemplary management of both of my Assessments and have been thanked for raising the Training issues that need to be addressed and have subsequently been asked if both documents can be used for Training purposes. “The National Framework Practice Guidance 4.1 states that : “The whole process of determining eligibility and planning and delivering services for NHS continuing healthcare should be ‘person-centred’. This is vital since individuals going through this process will be at a very vulnerable point in their lives.” and “Individuals being assessed for NHS continuing healthcare are frequently facing significant changes in their life. It is essential that a person-centred approach is taken throughout the assessment process. A positive experience of the assessment process that promotes genuine choice and control can empower the person, resulting in a much better outcome. I did not feel that I had had a “person-centred” experience as I felt de-personalised. I had not felt that I had had “a positive experience” as I had had a negative experience. I had not felt “empowered” by the experience. It left me feeling dis-empowered. I will once again put my vulnerability and dependency and trust into the hands of the multidisciplinary CHC team but this time because of all I have experienced and learned I feel it will be properly managed and I will at least this time have been assessed prior to the DST and the “specific nature, complexity, intensity & unpredictability” of my care needs will be taken into consideration and explored under Sec 12. What a terrible ordeal for you, Jane. So distressing and stressful, as you say. And it is, of course, appalling that you’ve been put through this. Well done for getting this far – I imagine it’s been a huge battle. Thanks for your comment – I wish you well with the next steps. That is awful Jane. I really feel for you. Without wishing to rise the paranoia levels. Be very careful when this happens. The guy that ran our old PCT sent many letters to us in a similar vein as did his underlings. They changed nothing and created their “CHC Operations Manual” as a result. It appears to conflict with the National Framework and is in any case denied to me because of bogus intellectual property rights (I hold one page and it is nonsense and unlawful). The Guy that ran the PCT covering 635,000 now runs a Commissioning Support Unit covering 5 million people. He was also a senior government advisor and many of my comments (they may well be other’s too), have appeared as alterations within the 2012 National Framework and DST. So yes they were very useful…. Not. Keep at it! All he best Chris. How do I appeal against the CCG decision not to award full funding? We have already involved MPs who helped get a decision but the CCG dismissed our complaints about the nurse assessors report, saying she doesnt work for them and blaming the care home to deflect the points we rated as high risk on the DST. Mum gets the ‘nursing care’ element which she has since entering the home and they say that is all she is entitled to, despite the fact she was in hospital and would be back in there if not moved by the care team to a local home. Everyone assumes she is self funding but shes got very little funds left after this last years battles with Cornwall CCG. To top it all we had a letter at the same time increasing their fees! Graham, Was your mum in hospital and released without an assessment for NHS CHC funding prior to her release? If she required recuperation after her reason for being hospitalised then the NHS should have assessed her before going home. If the county council is not assisting because your mum has more than circa £14,300 then they should start assisting at that point. However it is my understanding that from circa £25,000 in assets, the council should be assisting with costs in conjunction with contributions made from your mum’s pensions etc. and a slowly reducing balance of the savings until they reach £14,300. That money then is her’s by right. I took my forms to the NHS having filled them in myself as the costs of a solicitor doing the job would have been more than the claim. This was August 2012. I have had no written acknowledgement of my application in fact the only contact I have had is when I ring them. The last contact I made I was told it was going to take 5 years to get an answer! I have written to my MP with this information and await a reply. Having been through the local review process we are now faced with referring the CCG decision to the NHS review panel – can anyone give some guidance on this please ? You need to let the local CHC team know that you would like a Independent Review (IRP) and asked them to initiate this. I would also contact NHS England directly yourself and let them know you would like an IRP.